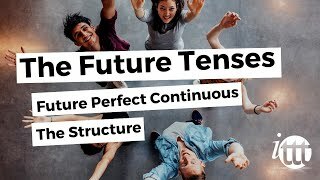 Vidéos proposées pour connaître ou approfondir vos connaissances sur le futur antérieur progressif (future perfect continuous) en anglais. 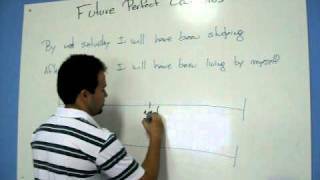 How do you Form the Future Perfect Progressive Tense? 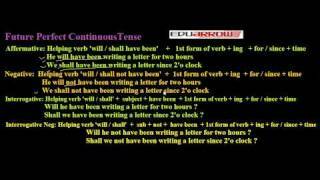 Learn how to use the Future Perfect Continuous Tense in this video. 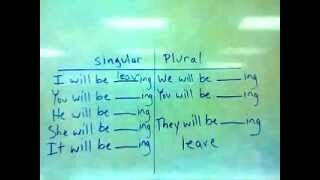 You can find more English Lessons at http://www.englishdive.com. 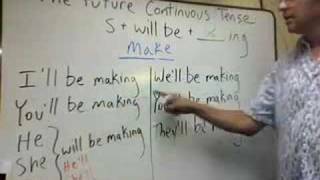 An American teacher shows how to conjugate the verb "make" in the future continuous tense and then provides some examples. 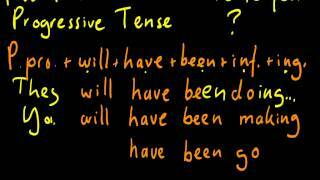 An English teacher explains how and why to use the future continuous tense.